death 15 Dec 1950 Baltimore, MD. d. 15 Dec 1950, Baltimore, MD. In all Artemus and Margaret Darby had 13 children. By the time of the 1870 CENSUS all Henry's older brothers had apparently left home. 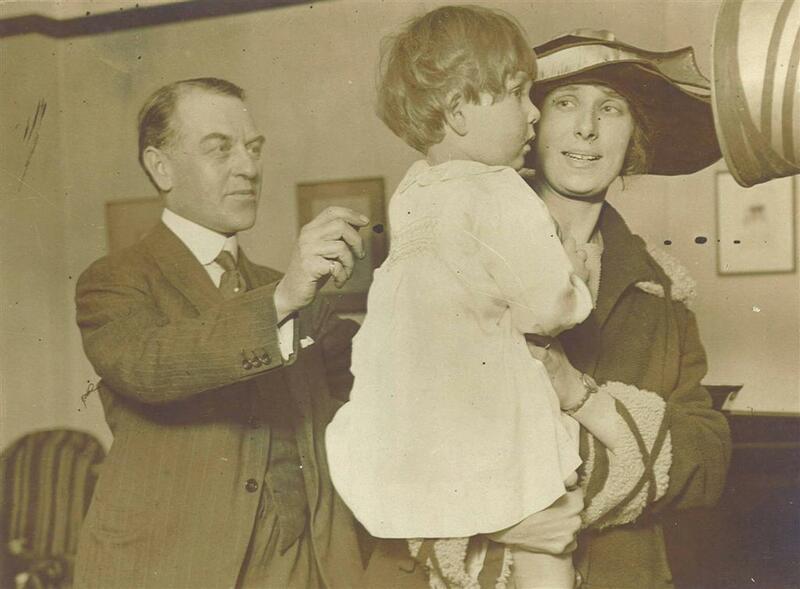 SS "KAISER WILHELM DER GROSSE"
Kurt HEINECKE came to meet Darby at the boat. ship's name: SS "KAISERIN AUGUSTE VICTORIA"
ship's name: SS "EMPRESS OF FRANCE"
Applied for registration of Darbycord ('From the Darbycord Studios.') 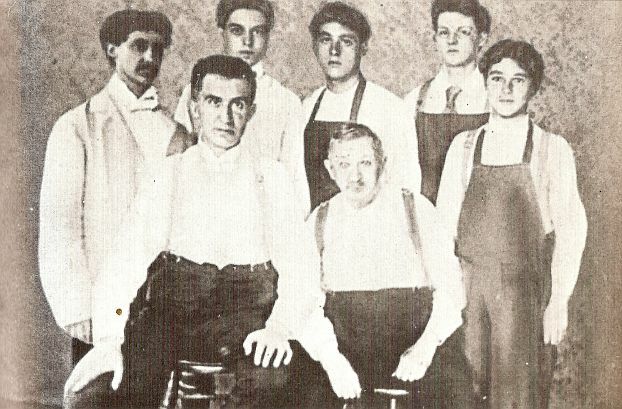 in November 1920. Registered as trade mark in April 1921.
ship's name: SS "EMPRESS OF FRANCE" (Canadian Pacific Line) (NOT SS "EMPRESS OF BRITAIN"
Submitted trade mark Photovox (disc records) for registration in May 1922. 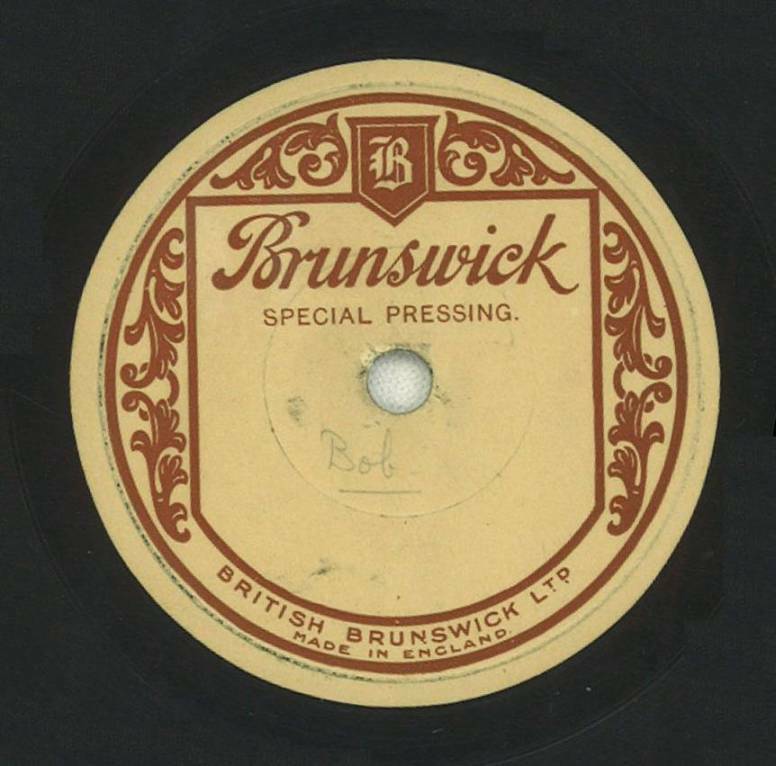 In November 1922 registration of Photovox as a trade mark fro disc records. plus marriage date (24 Nov. 1910) and birthdates/birthplaces of all children. 5 Oct 1926 (The Times): The Panatrope. New Electrical Instrument for reproducing Music. 5 Oct 1926 (Westminster Gazette): The Panatrope. Invention that can be fitted to wireless. 5 Oct 1926 (Glasgow Herald): New Style Gramophone. 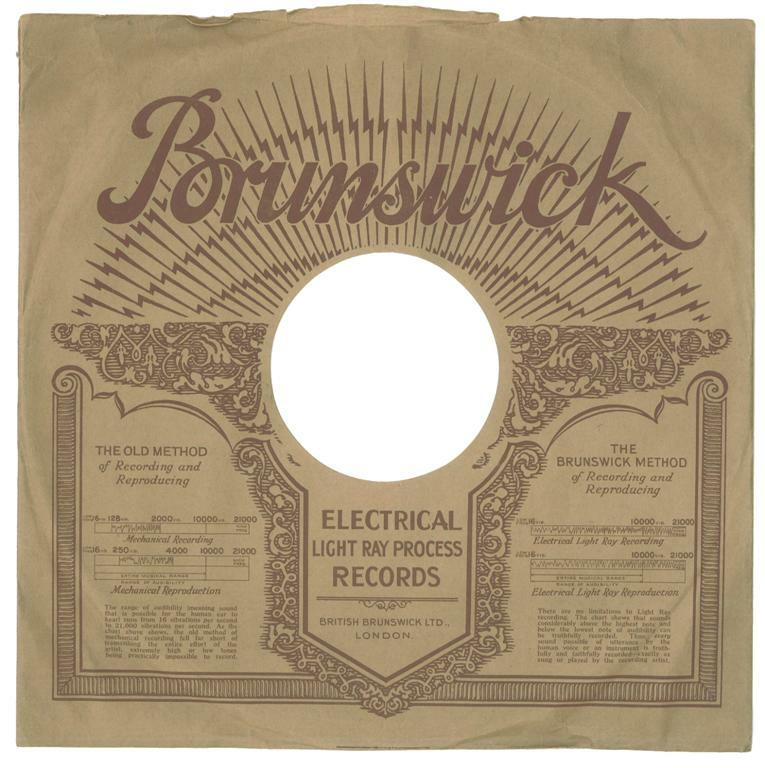 The Electric "Panatrope". 10 Oct 1925 (The Referee): The "Panatrope." 10 Oct 1925 (Reynolds News): The "Panatrope." place of residence UK: 49 Roehampton Lane, London S.W.15. - the 1890/1891 Washington addresses of Henry Sinkler Darby. - Henry Sinkler Darby died on 10 Jan 1904 at La Grand Flats, G Street, northwest, Washington, D.C..
- see also Washington Post of 22 December 1906) describes Sinkler as a "Washingtonian". 1916 29 Corfton Road, Ealing, W.5. 1918 29 Corfton Road, Ealing, W.5. 1919 29 Corfton Road, Ealing, W.5. 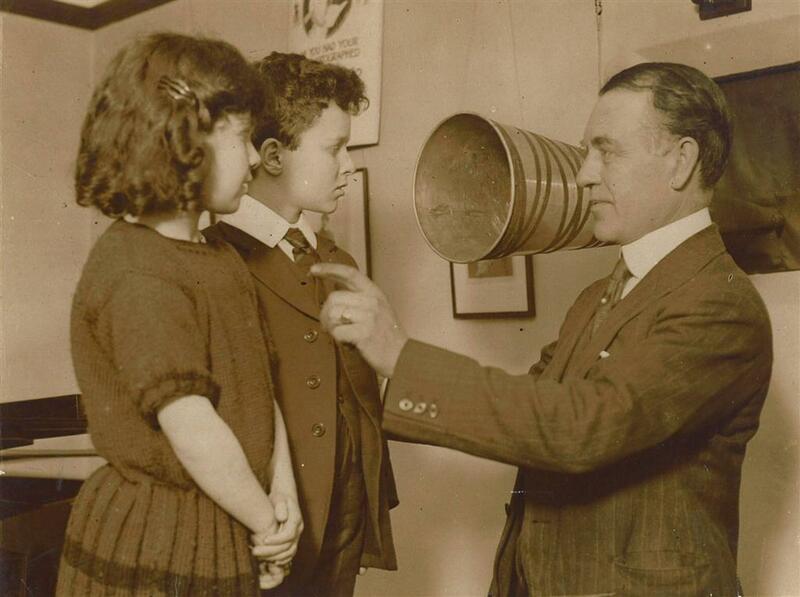 W. Sinkler Darby instructing his children John and Kathleen for a private recording. 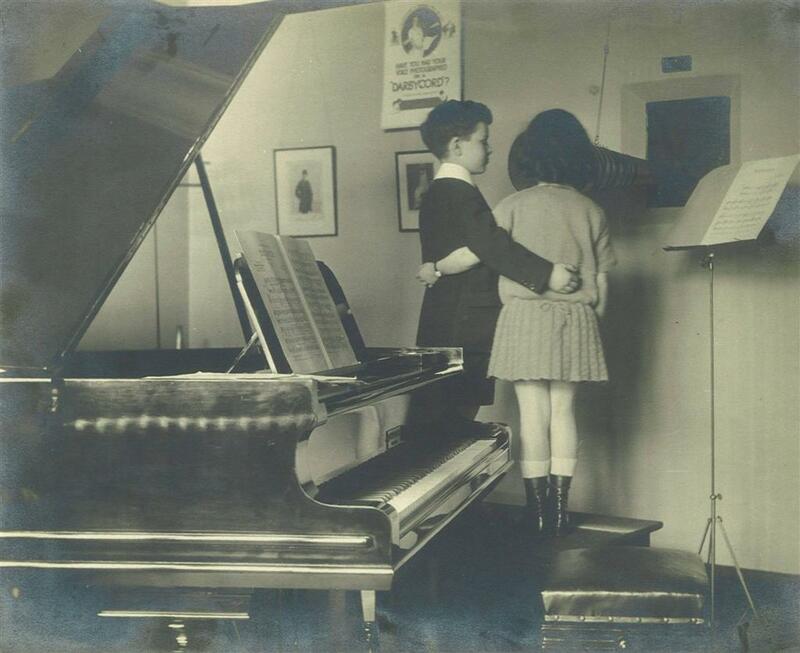 John and Kathleen Darby being recorded. 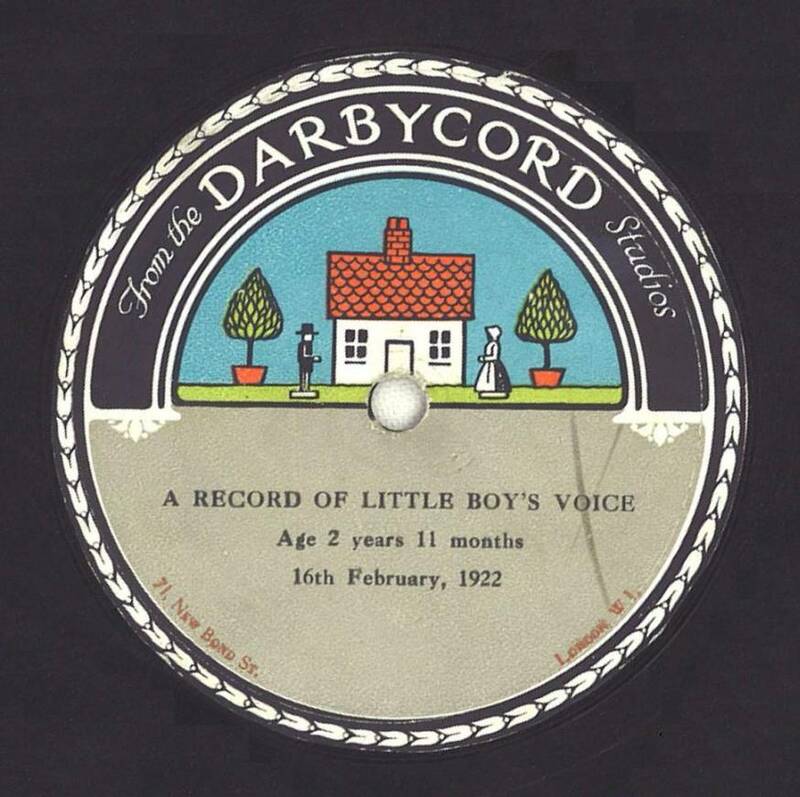 Notice the poster on the wall: Have you had your voice photographed on a "DARBYCORD"? 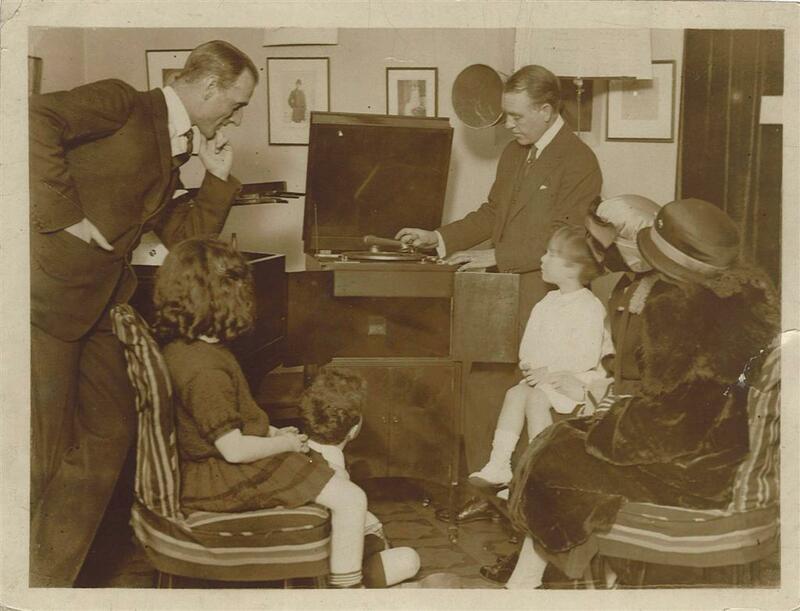 The Darby family and two unknown persons listening to a record. 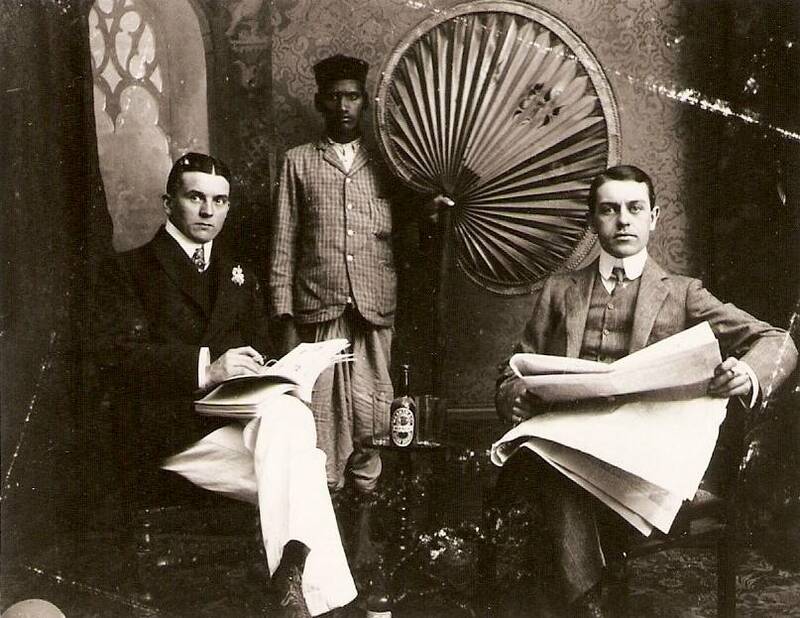 Notice the picture of the bowler-hatted Titta Ruffo on the wall. 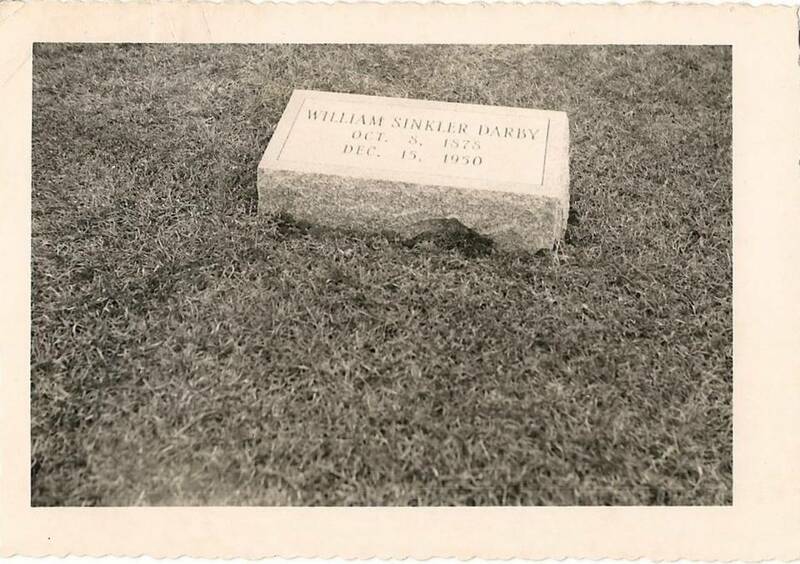 "A Mr. W. Sinkler Darby. 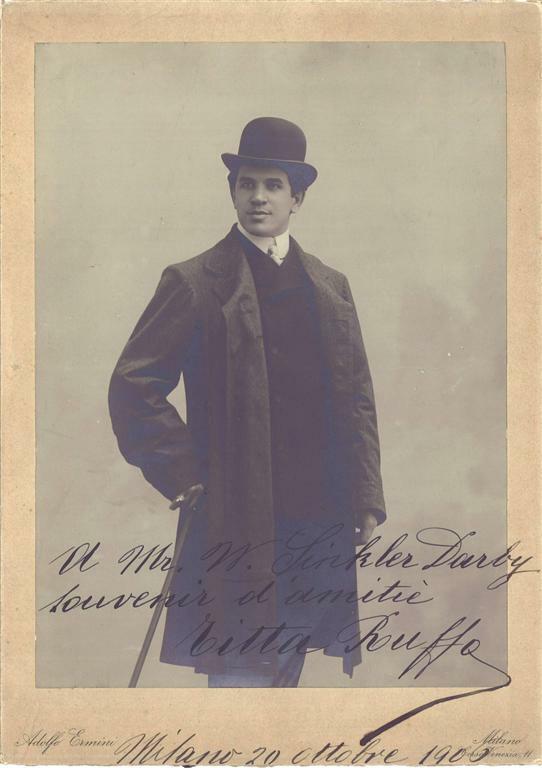 Souvenir d'Amitié, Titta Ruffo. Milano 20 ottobre 1906"
made on 16 February 1922.
probably made in 1925, New York. 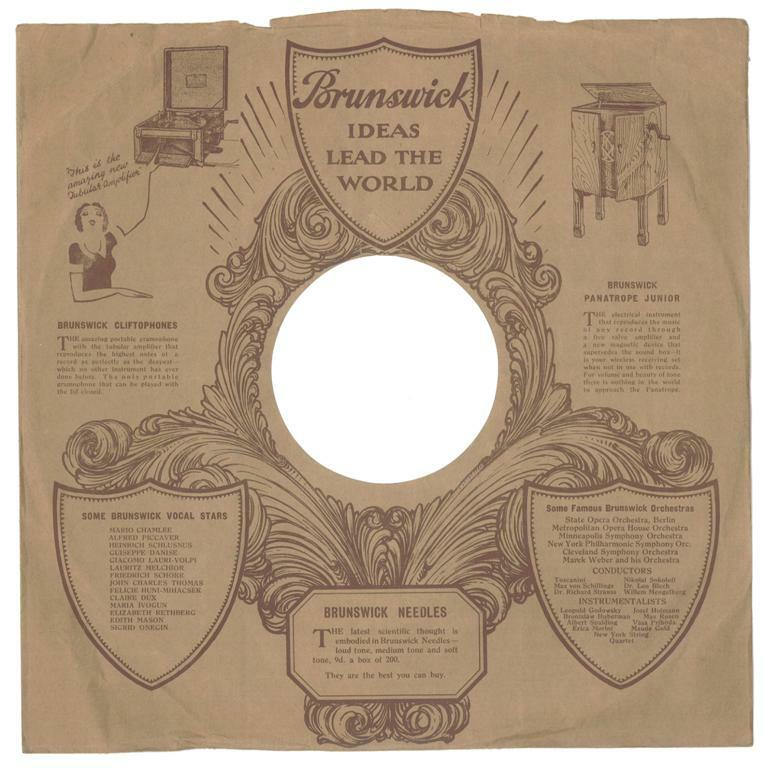 Original sleeve of the above. "To Sinkler from his friend Emile Berliner. 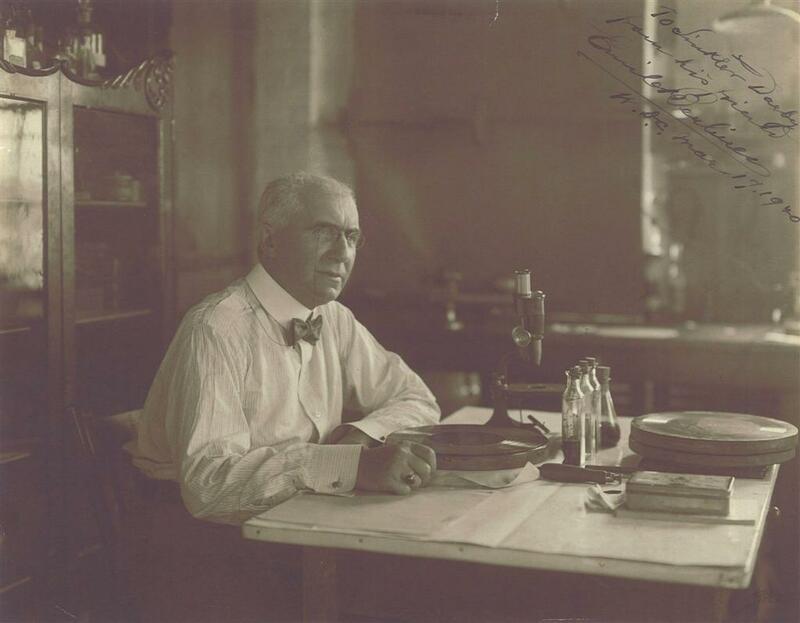 W[ashington] D.C. Mar[ch] 17, 1920"